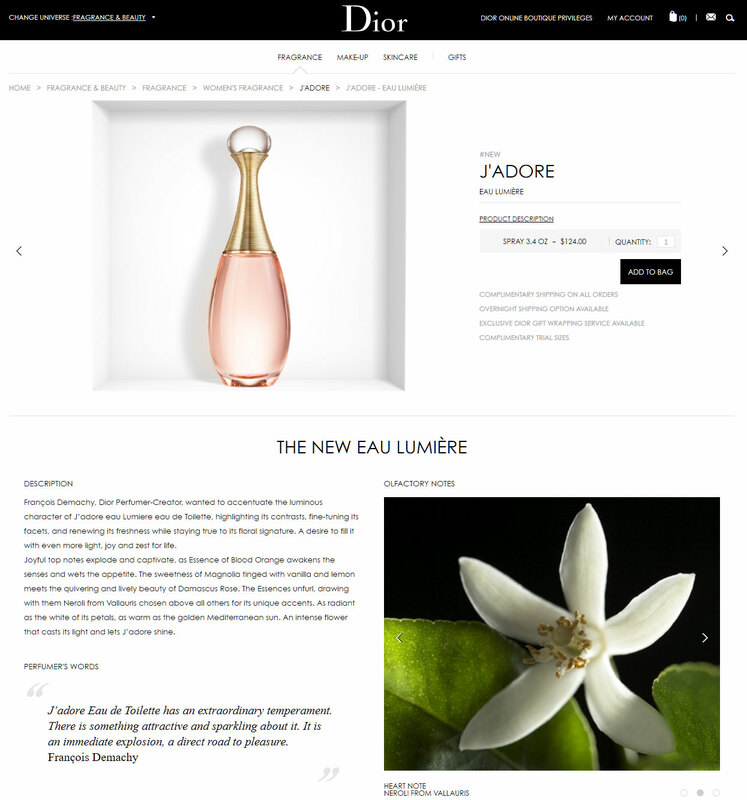 J'adore Eau Lumiere by Dior - A floral fragrance for women. This radiant floral version of the original J'adore, created by Dior perfumer Francois Demachy, includes notes of blood orange, lemon, rose, neroli, vallauris, and vanilla, for a sparkling and attractive scent. Launched in March 2016 and available as an eau de toilette spray. 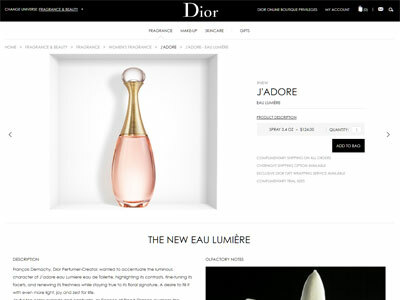 Package Design Original Dior J'adore bottle with pink juice. J'adore Eau de Toilette has an extraordinary temperament. There is something attractive and sparkling about it. It is an immediate explosion, a direct road to pleasure.